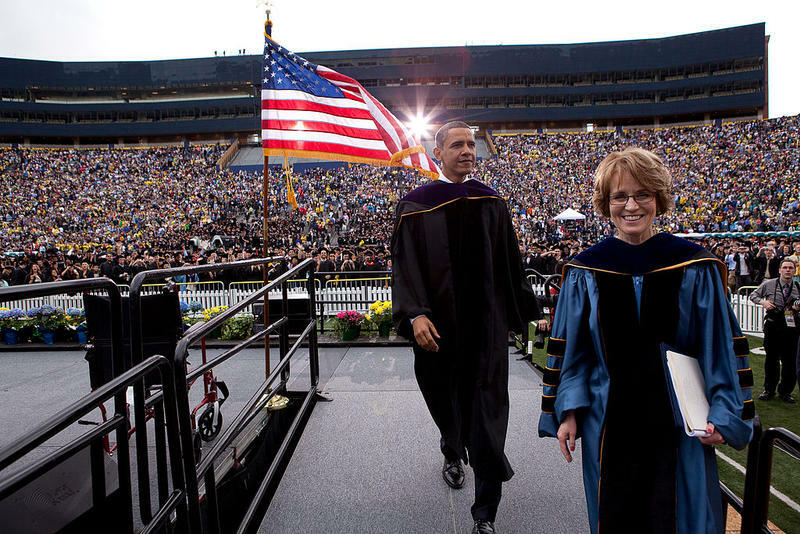 The new President of the University of Michigan is on the job. Mark Schissel officially took the helm today. University of Michigan students and staff gathered in the school's Union ballroom to celebrate retiring president Mary Sue Coleman. 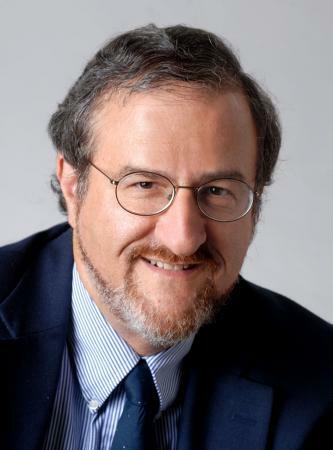 The University of Michigan has named Dr. Mark Schlissel as the school's 14th President. On a unanimous vote this morning the board chose to hire Brown University Provost, Dr. Mark Schlissel to serve as Mary Sue Coleman's successor. Schlissel has been Provost at Brown since July of 2011. prior to that post, He served as Dean of Biological Sciences in the College of Letters and Science at the University of California–Berkeley. President Mary Sue Coleman announced last year that she would step down when her contract expires this summer. She will leave as Michigan's fourth longest-serving leader. Coleman was hired in 2002 after seven years as president at the University of Iowa. The 70-year-old Coleman also is the university's first female president. ANN ARBOR, Mich. (AP) - The University of Michigan Board of Regents has appointed an advisory committee to help search for the school's next president. The board on Thursday announced the appointment of seven faculty members to work with the board and a search firm. Russell Reynolds Associates will be paid a $300,000 flat fee with expenses not to exceed $50,000. 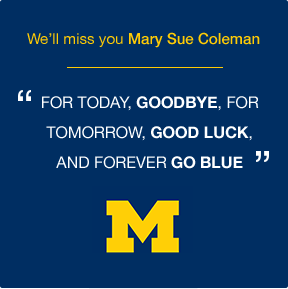 In April, President Mary Sue Coleman announced she would step down when her contract expires in the summer of 2014. She will leave as the university's fourth longest-serving leader.